Yikes, has it really been 20 years since Interview With The Vampire? By Hollywood standards, that makes Anne Rice’s works way overdue for a reboot—which is exactly what is happening, only with producers we’re not really sure we want meddling in this supernatural genre. The Wrap is reporting that Brian Grazer, Alex Kurtzman and Roberto Orci, and Bobby Cohen are all voltroning together to reboot the Anne Rice books with Universal. The studio owns the rights to the entire series, all 13 books. There’s no additional information on where they will pick up or how they plan to reboot Rice’s work, but we’re assuming they’ll start at the very beginning with Interview With The Vampire. Honestly, I’m torn over this news. Interview With The Vampire, the 1994 film with Tom Cruise and Brad Pitt, is pretty timeless. However, this is a smart franchise that could set a studio up with years and years of successful movies if done well. True, Bob Orci has wielded the supernatural sword quite well producing Sleepy Hollow, but this series needs a gentle touch, something I’ve yet to see from the Orci-Kurtzman pairing—which, I thought they had split? Guess not. 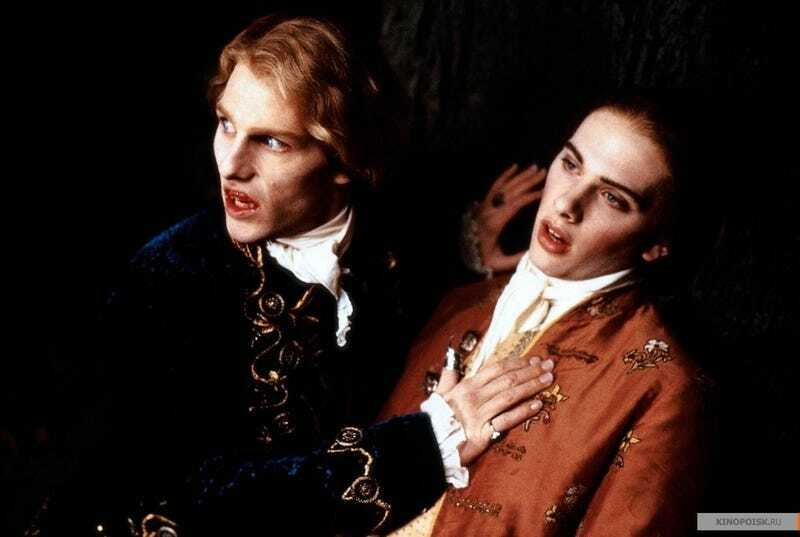 Not to say it can’t be done, but if they’re going to remake a vampire classic, I would like to see it treated thusly: More Interview, less Queen of the Damned. Finally, Universal has been long prepping a monsters world much like the Marvel Cinematic Universe where all the characters connect together (with Kurtzman behind the wheel). I sincerely hope these vampires have absolutely nothing to do with the Universal Monsters.